HAMP and Servicer’s signature on the modification; another Court sees through the servicer’s attempt to stretch the payments while denying a modification. Since the start of the HAMP program, servicers have been providing trial plans while leaving the door open to claim that there has not been a modification. As described by Diane Thompson in “Foreclosure Modifications” (86 Wash. L.Rev. 755) servicers recover all their costs after a foreclosure) and receive fees beforehand – the incentive is to stretch out the delinquency without a modification or foreclosure. Courts have slowly been acknowledging the unfairness of this system, in which the property is eventually foreclosed. One decision was based on enforcement of contract based on an offer and acceptance ; another on grounds of promissory estoppel. In a recent decision, the servicer claimed that, as there was no modification agreement signed by the servicer, the owner’s claim is barred by the statute of frauds. The court said no -the doctrine of equitable estoppel barred the defendant from raising this defense, as it would constitute fraud. In Angelica Chavez v. Indymac Mortgage Services, Chavez had a $380,000 refinance loan secured by a deed of trust. She got behind and began loan modification talks with Indymac. They offered her a “Home Affordable Modification Trial Period Plan (Step One of Two-Step Documentation Process)” (the Trial Period Plan) under HAMP. The Trial Period Plan required her to make three monthly payments. Chavez made the trial payments, received a Modification Agreement, signed and returned the Agreement, and continued making her payments. The servicer never sent her a signed Modification. The court noted that the fair interpretation of the Trial Period Plan is that, if Chavez did as required, they must send a signed Modification Agreement. Under the servicer’s interpretation, the borrower could have done everything required and the servicer still avoid the contract by not sending a signed Agreement. 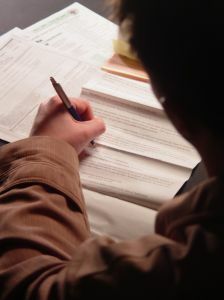 The court found that the borrower detrimentally changed her position by completing and signing the Modification Agreement, in which she agreed that unpaid interest, fees, escrow advances and other costs would be added to the principal balance and interest would accrue on the unpaid interest, which would not have happened otherwise. As these decisions percolate up, the various legal arguments posed by servicers are being cut off. The problem for many borrowers has been the cost of legal action -they are already in a situation where they cannot afford to make their payments, and in many case removed from their homes. Sacramento real estate attorneys have been seeing this for years. In this appeal the plaintiff was assisted by several nonprofit organizations which provided additional briefing.